Can you smell that? That decadent scent of freshly baked cookies radiating from your grandma's kitchen? The smells and tastes of deliciously sweet treats have fueled our souls and put smiles in our bellies for centuries. From pies, to cookies, to cinnamon raisin bread, baked goods have been there throughout our entire lives to both enrich and flavor our pallets. But where did it all begin? 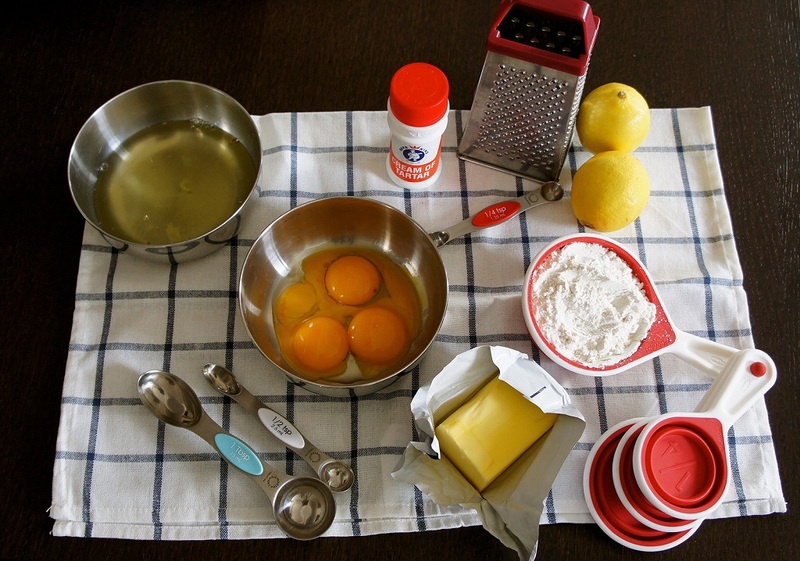 Who figured out that by mixing a few simple ingredients together, you could create something as heartwarming as a cake? It’s about time you took a look back at baked goods through the ages. Beyond knowing how to preheat the oven to 350 degrees, what exactly do you know about baking? Could you even define what baking is? If not, don’t fret! We have got you covered. The simple definition for baking is fully cooking something inside an oven. Even though we do not often think of it in the same light, putting a turkey in the oven and a sheet of cookies is both considered baking. The baking we will mostly be referring to here will focus on sweet treats, but it is important to know that you can bake just about anything, even meats and vegetables. What many people do not know is that baking is a science. There are a lot of components that all must be perfectly placed and added in the correct amount or the dessert will not turn out as planned. A great example of this is something like a meringue. If you have ever tried to make meringue on your own, you know just how touchy those egg whites can be. By getting a bit off yoke in the mix, whisking too hard or not hard enough, or adding the incorrect amount of sugar, you can end up with flat, grainy meringue nobody wants to eat. Understanding which ingredients do what can not only help you comprehend your recipes but can also help you problem-solve when your baking goes astray. Which is why we have created the Baking Star: The Ultimate Guide to Baking Science. This baking star is intended to give you all the basic knowledge you need to create your own fantastical treats. There are plenty more ingredients out there that you may find yourself needing to include, but these are the core five that you will find in almost all types of baked goods. For a great visual representation to go alongside this helpful guide, check out this TED-Ed video where they take you through the process of baking a batch of cookies. With the help of science of course. Utensils and Containers and Trays, Oh My! Definition of baking, check. Science, check. Now, you’re going to need some tools to utilize that newfound knowledge of yours. There are four main types of baking tools that you will need, and we have them all laid out and ready to go! Get ready to go through your cupboards and locate all those old rolling pins you never thought you’d need. Why They Are Important: These tools are essential to your baking preparation. They are the only tools able to portion out the right amount of ingredients and the right amount of baked good prior to baking. Keep these close at hand and always be sure to double check our measurements. Why They Are Important: After getting all your ingredients together, you have to have a way to mix them up. Depending on what you’re making, using your hands simply will not get the job done. These tools are the optimal solution for getting the perfect consistency in your sweets. Why They Are Important: Where are you going to put all the stuff you made without some sort of baking tool? The dough is certainly not going to sit on the oven rack by itself. These tools allow you to simply and effectively bake your creations and know exactly when to take them out. 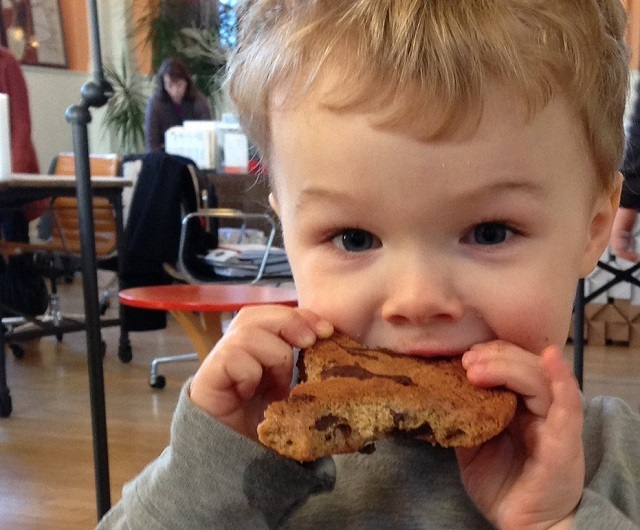 Why They Are Important: Now that you’ve baked your treats to perfection, you have got to finish them off. These tools allow you to put the final touches on your desserts, including cooling, decorating, and serving. Alright! You now have all the tools, skills, and knowledge you need to create fabulous desserts. But wait… Something’s missing. Something to bake! There are so many different types of baked good out there that it can be hard to know where to begin. To make things simple, just take a look at our handy dandy baked good alphabet and see what you and your family might enjoy. 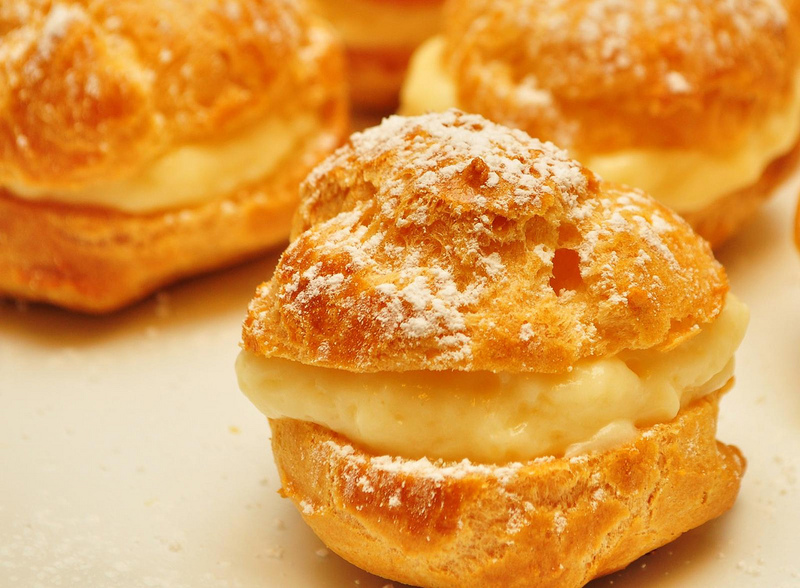 These fluffy pastries are a great addition to anyone’s meal time. They are often eaten with breakfast or dinner but can be covered in a sweet sauce as a decadent dessert. If you’re from the UK or have traveled there before, you may also know that the British biscuit is a hard, short-bread style snack that is equally delicious. The unique thing about bread is that it comes in all shapes and forms. Some breads are sweet, others savory. 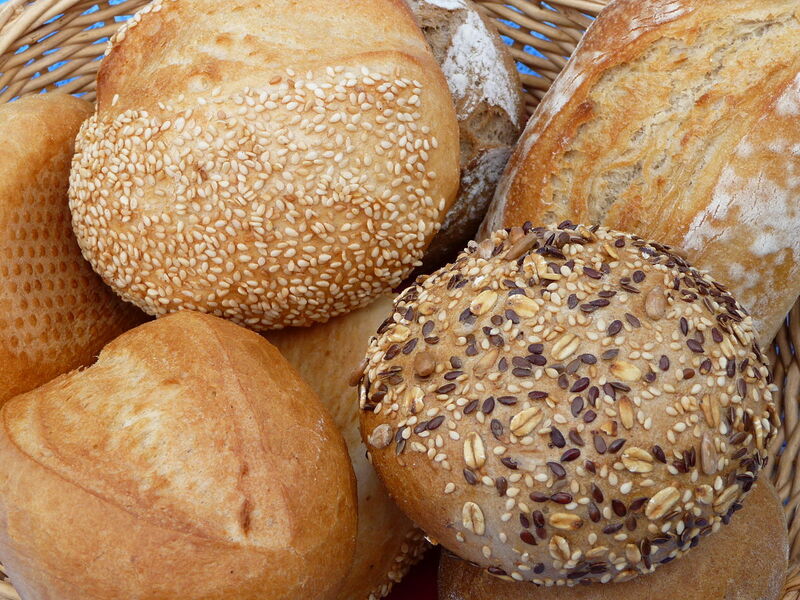 Some are in large loaves, while others can be flat and thin. It all depends on what you need it for and what types of flavors you enjoy. Give them all a try if you can! It’ll be worth the carbs, we promise. 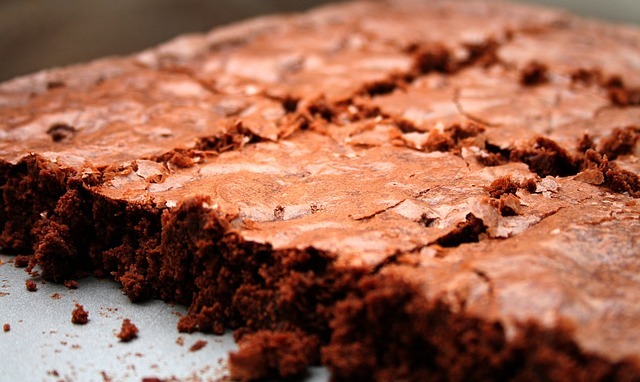 For something a bit more chocolatey, give the brownie a try. This is a flat dessert infused with cocoa powder designed to wet your appetite. Today, many people infuse all types of flavors in the brownie, including fruits, nuts, and additional layers of chocolate. Happy birthday! 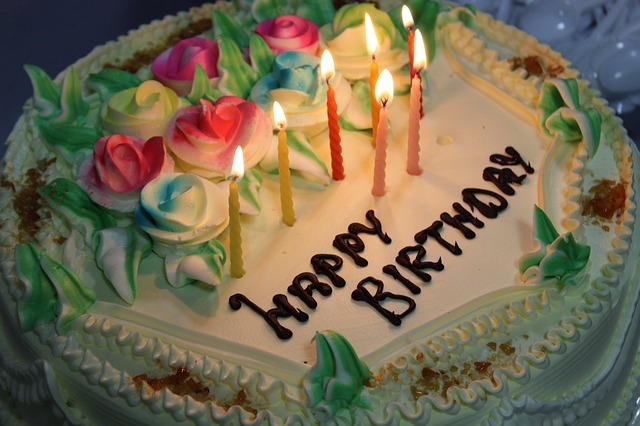 Nothing shows off a celebration more than a delicious cake. These scrumptious desserts come in all types of flavors and can be layered to perfection. 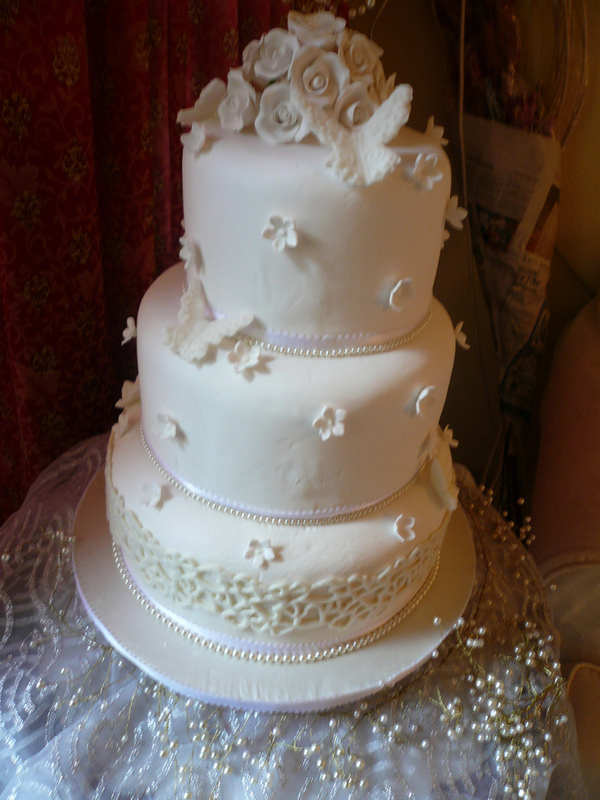 Many bakers have taken it upon themselves to decorate their cakes in the most realistic, yet edible, ways possible. Plus, if you are looking for just a pop of that cakey goodness, you can enjoy a delicious cupcake. These miniature cakes allow bakers to give new flavor combinations and patterns a try in a bite-size snack all can enjoy. You better not steal that cookie from the cookie jar! Instead make some of these flat, sweet treats for yourselves. They also come in a wide variety of flavors and can include a number of toppings, both inside and on top. Plus, you can shape your dough however you please, allowing you to make fun creations your whole family can enjoy. 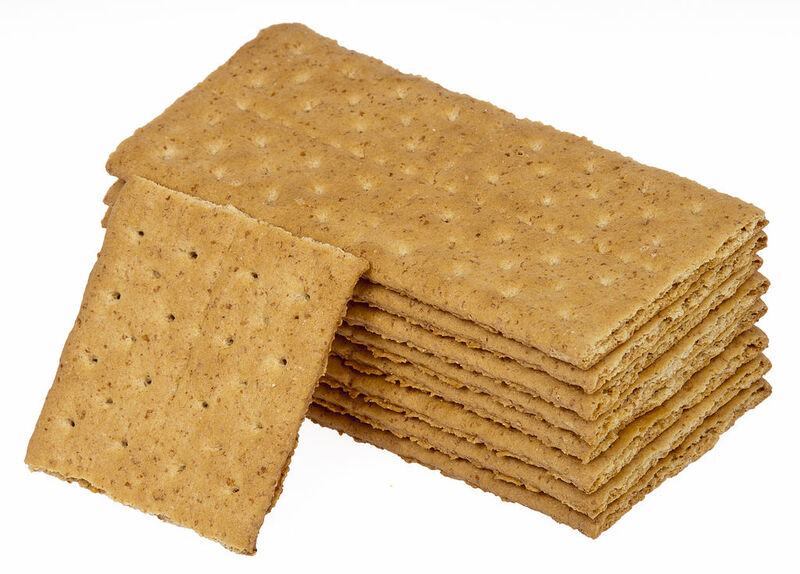 Even though they may not be incredibly sweet, crackers are another great baking treat to share with your family. These thin, simple pieces of dough often are garnished with herbs, salt, or cheese on top. They are super simple to make and can give beginners a great look into the savory side of baking. 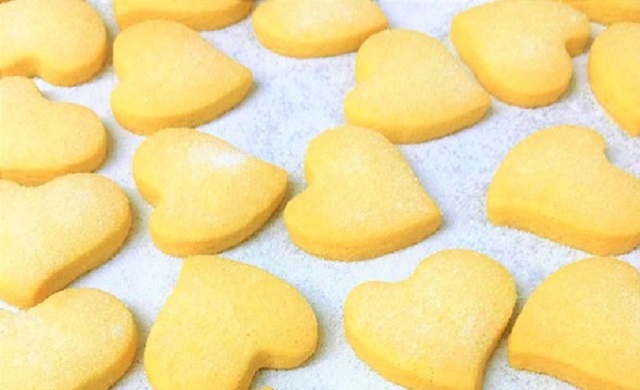 Sometime’s referred to as baker’s confectionery, these fluffy and delicious sweet treats have stolen the hearts of bakers across the globe. The dough here is airy and light, allowing the flakes of pastry to melt away in your mouth. This is a unique science that took many years to perfect but has since become a staple in every bakery. No one can decide what the best type of pie is, so why not have a bit of all of them? 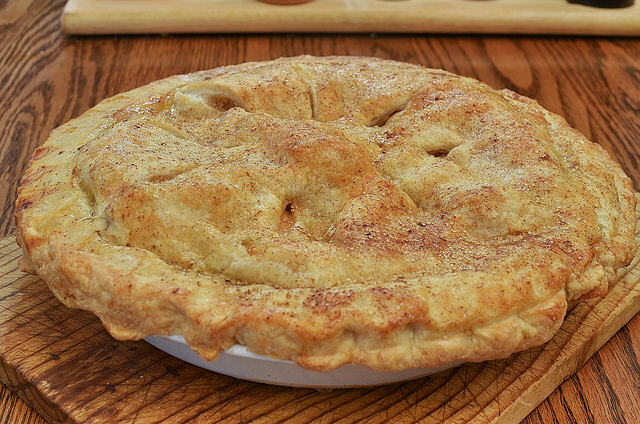 Pies are cooked inside a dish that is covered with pastry both underneath and on top. People have put a ton of fillings inside, both savory and sweet, making this a highly versatile baked treat. Tarts are sort of like pies who lost their tops. These pastry-like desserts have a filling on top of its base but do not have any additional pastry covering the filling. 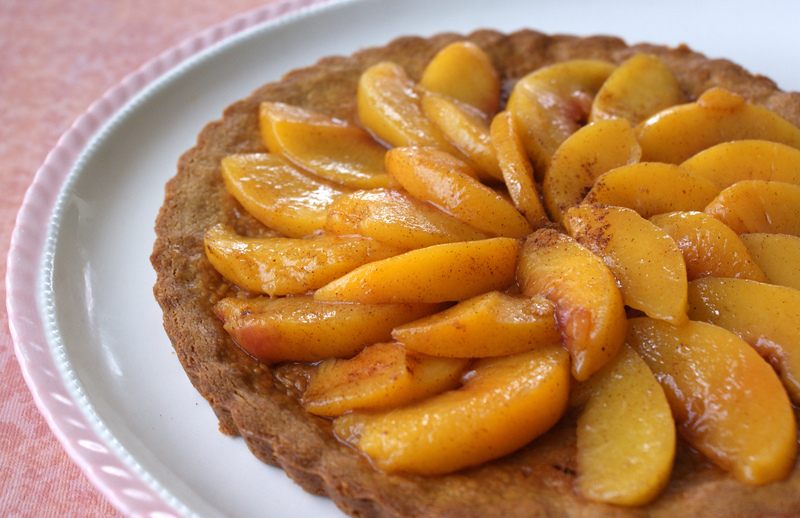 Tarts are often a bit messier than some of the other desserts on this list, but they are by far one of the sweetest and most desired baked goods out there. 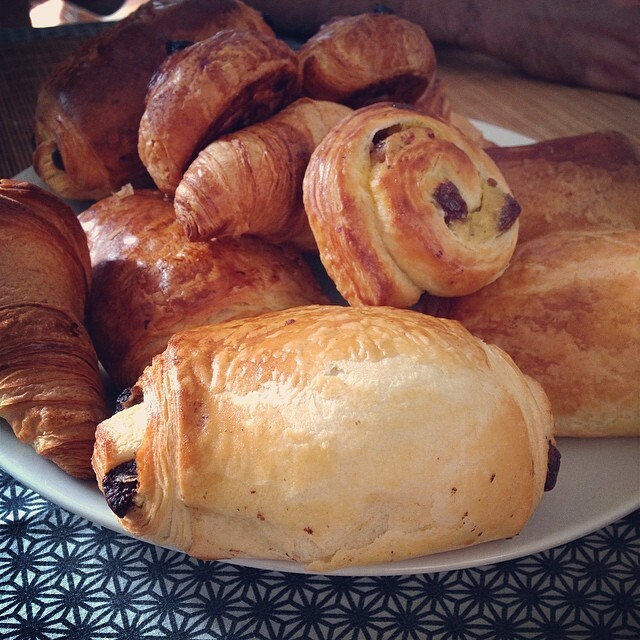 To give yourself a break from typical pastries, take a moment to stop and enjoy some viennoiserie. This potentially unfamiliar sounding baked good is similar to bread and puff pastry but is made from yeast-leavened dough. They are often richer in sweetness than that of a standard pastry but are equally as desirable. With so many desserts on the menu, you’ve got to wonder where they all came from. Who decided to take some dough, slap some fruit inside, cover it with more dough, through it in the oven and call it dessert? Well, buckle your seatbelts because we’re about to blast back to the past to uncover the tasty history of baking throughout the ages. It is incredibly common to think that baking did not come about until the common era. 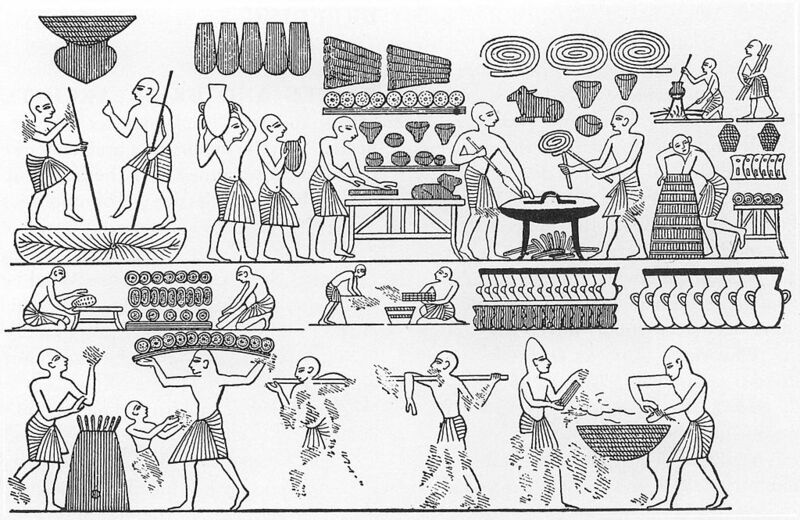 In actuality, the Egyptians were getting their baking hats warmed up all the way back to 2600 BC. After learning some skills from the Babylonians, the ancient Egyptians began to make cakes and breads fairly regularly. These bakers may not have been able to construct the type of cakes we see today, but their methods followed similar patterns and techniques to those we use in the 21st century. What was unique about these baked goods is that they were actually used for more than just eating. 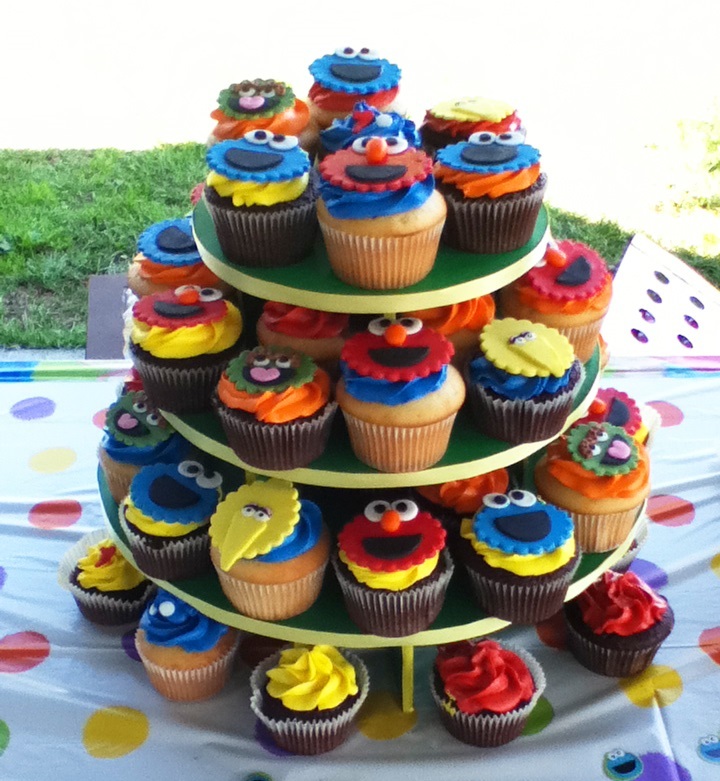 The bakers would sometimes create cakes and breads in the shapes of animals. These “animals” were then used as ceremonial sacrifices. The Middle Ages. Do you remember learning about that time period in history class? This was the time when war, the feudal system, and swords reigned supreme. But what about baking? Like today, your image was everything in the Middle Ages. You wanted to be able to show off the fact that you had money to the people around you. One way of doing this was by obtaining a wood-burning stove. For those who could afford it, which were few and far between, the wood-burning stove allowed them to bake bread. This was not something frequently done in the home, as it was more often more of a commercial activity. Your status not only showed in the place where you slept but the type of bread you ate. Poor villagers were stuck with black and rye bread, while the wealthy dined on floured wheat bread. Cakes were also something only the rich could afford, but their cakes were a lot denser than ours today, often weighing up to 20 pounds. Finally, the world began to get a bit more global as the 15th century rolled around. Many countries began to receive a surplus of spices they had never before seen, allowing them to get a bit more creative in the kitchen. 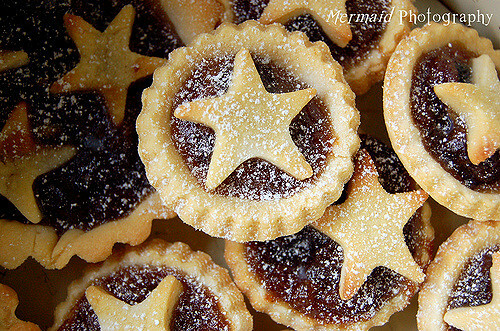 By far one of the most popular creations of this century were mince pies. Unlike the mince pies many people enjoy during Christmas time, these pies were filled with actual minced beef or mutton. This is also the time when sweetness became desirable. The invention of sweet dough allowed the rich to enjoy treats like the wigg, which was a small, sweet bun filled with herbs and spices. All hail the modern average Joe! The 16th and 17th centuries brought forth a rapid economic growth that allowed something previously unheard of to form: the middle class. By increasing the number of people who had a decent living, baking ultimately became more accessible to people. They now had the money to eat nicer bread, buy a cake for special occasions, and become more accustomed to an upper-class diet. Since the money flowed in on all sides, more people were able to invest in stoves, which allowed more people to bake, which in turn allowed more people to create yummy goods. Thanks to baking becoming commonplace, sugar became cheap. This meant that things like mince pies could begin to be formed with spices and sugar, rather than actual minced meat. We also began to see actual cooking literature appear during this era. People began writing down how to make buns, breads, cakes, and even the newest creation, pastries. Plus, since so many people began baking, inventors started creating useful kitchen equipment to help ease the baking process. One of the most notable was the cake tin, whose basic design we still use today. The 18th century really should have been known as the cake-teenth century. This was the time when cake baking took off. 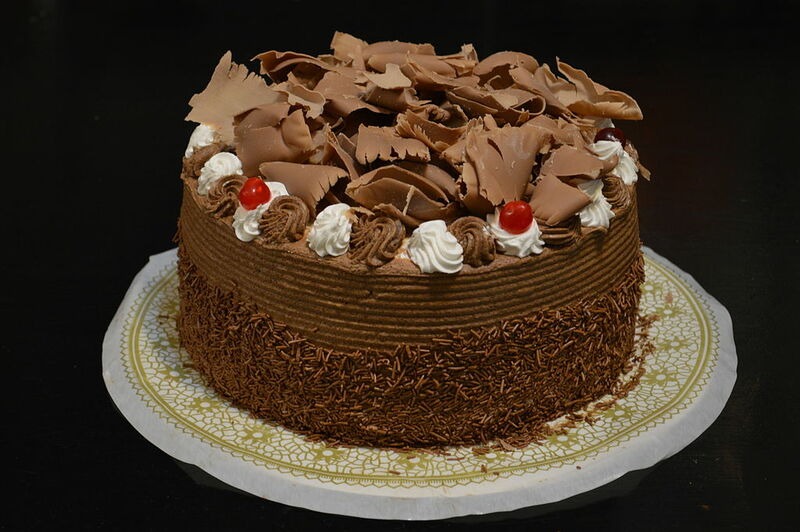 New cake flavors and styles began to come out left and right, allowing sweetness to overtake the baked goods world. A major contributor to this was Hannah Glasse who wrote a famous book entitled The Art of Cookery. In it, she revealed an entire catalogue of original cake recipes. The mass-availability of this book allowed bakers to not only learn her recipes but reinvent them to make them their own. 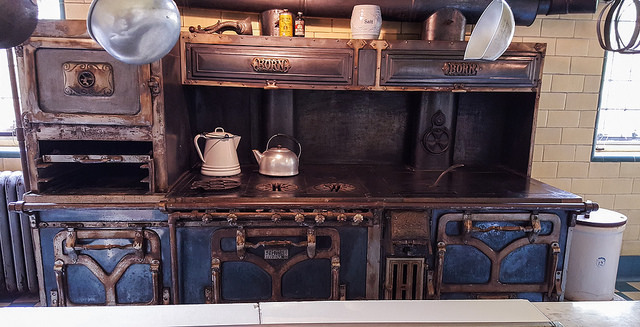 This was also the time of the industrial revolution, which meant that the development of the semi-closed oven came into play. Not only did this change the way people of the 18th century baked, but it also led to the creation of our modern day oven. At this point in time, women became a part of the working-class. They would be caught between work, taking care of the children, and being in charge of meal preparations with not enough time in the day. Rather than wear themselves thin to create intricate meals, women relied on simple pastries and pies to satisfy their families. This phenomenon has recently been referred to as “fast food culture”, even though our standard idea of a fast food restaurant failed to exist at this point in time. Another important milestone is baking powder. The enlightenment about this ingredient allowed bakers to shift their cake baking from dense, yeast-filled cakes to lighter rising flour based cakes. Time to mix things up with the radical world of the 20th century. Baking had already come a long way at this point, and many people were quite familiar with the basics of breads, pastries, cookies, and cakes. But something about this era sparked a newfound curiosity in kitchens across the nation. Sometimes by accident, and sometimes completely on purpose, new recipes began to sprout up all over the place with exciting new flavors, designs, and tastes. 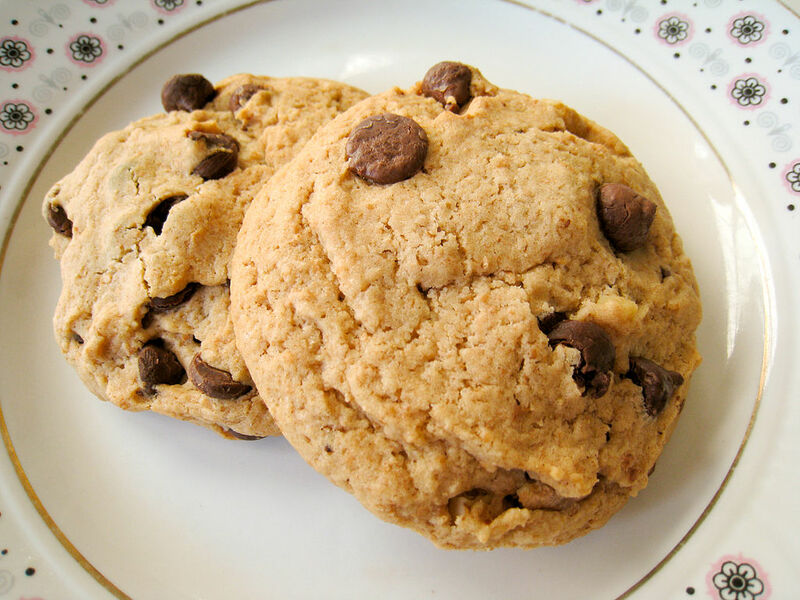 One of the most notable creations of the century was the chocolate chip cookie. Consider a staple in our modern life, these cookies ultimately unleashed a world of possibilities for baked goods of all kind. The experimentation continued throughout the century, allowing for creativity in baking and decorating. And now we’re here! The 21st century has only just begun and yet the baking world is continuously being spun on its head. While the previous century worked to begin creating new and exciting flavors, the first bit of this century has put decoration to the test. With the heightened popularity of baking shows, bakers all across the globe are working to create masterfully baked paintings, sculptures, and so much more. This is truly an age of creativity that has yet to come close to its peak. Only time will tell what this glorious century will yield. What does any of that matter? Why should we care so much about baking in the first place? Sure, cakes are nice, but is baking even important in our lives? Absolutely. For a moment, try to imagine a world without bread. No toast, no PB and J, no Subway. Without the creation of dough and the process of baking, we’d miss out, not only on sweet treats, but classic meals as well. Things like pizza, hamburgers, and roasts would be gone. Baking has transformed the way we eat and has allowed us to indulge our sweet tooth again and again. It pushed forward our understanding of science, created a number of future professions, and made cooking simpler than ever. We owe a lot to baking that we often take for granted. So yeah, it is a big deal and will continue to be for centuries to come. 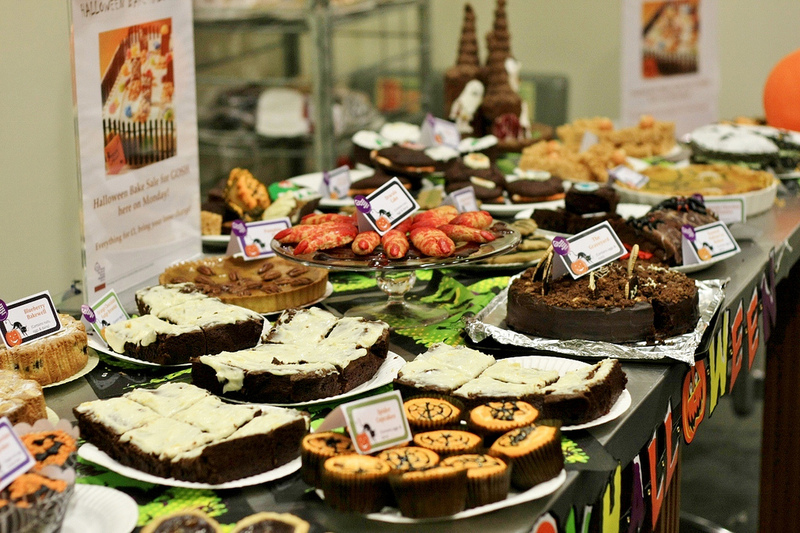 Have we got you hooked on baked goods yet? 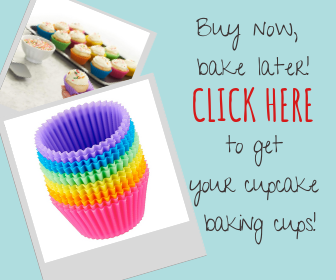 Ready to get out there and give baking a try for yourself? Well, before you leave remember to apply these simple baking tips to your next baking extravaganza. At the end of the day, it does not matter how your cake turned out, or if you burnt a batch of cookies. What matters is that you helped create a moment in time that can never be replaced. So many people have some of their fondest memories in the kitchen. 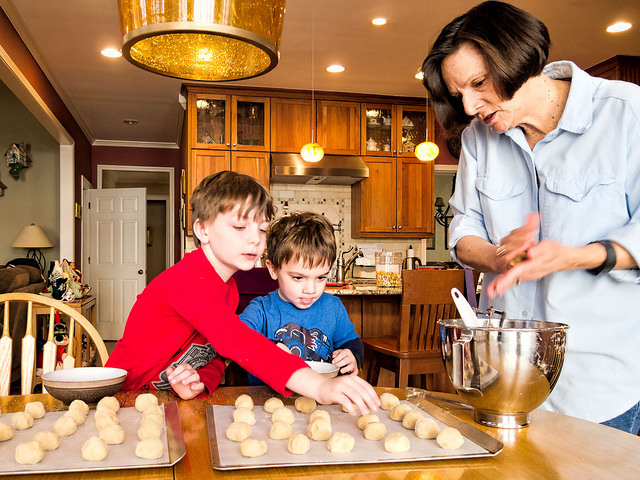 Whether they’re baking with Grandma, stealing a cookie before dinner with Dad, or decorating a cake for Mom’s birthday, baking sticks with us for the rest of our lives. These memories flood our senses and bring us back to simpler times every time we get a whiff of the delicious treat. So do not be afraid of the kitchen. Step in, grab a mixer, and get ready to create some of the fondest memories of your life. And some pretty delicious snacks too.